Share the post "The Ministry of Fr. Nikolay in Ireland: Pastor, Family Man, Programmer"
As I was reading the Hours and the Epistle at one Saturday Liturgy at the Orthodox parish of the Entrance of the Most Holy Theotokos into the Temple in Drogheda, situated thirty miles north of Dublin in Ireland, I thought, “It would be good to get an academic job in Ireland and help the Orthodox communities that need this help.” My experience at the parish of the Protection of the Mother of God in Manchester, which I helped while studying for my Master’s Degree in England, was very joyful and inspiring. However, my attempts to “make my way” to the “Emerald Isle’s” university environment proved unsuccessful, so my plans to serve Orthodoxy in Ireland were never fulfilled; but my trip to Drogheda, my reading at the Liturgy and my talk with the rector, Fr. Nikolay Evseev, stuck in my memory, not only because of his hospitality, but largely out of a sense of admiration for his ministry in Ireland that he has carried out for more than ten years. Fr. Nikolay was born in January 1975 in Cheboksary [the capital city of the Chuvash Republic in central Russia on the Volga River] to an ordinary Soviet family: His mother worked at Sberbank, and his father worked as a welder for a company. Unlike the parents of most children in the Soviet era, the future priest’s mother was a religious person. Although she did not go to church regularly, she tried to share her faith with her children, and later, when they had grown a little (she had two children), she used to take them to the Cathedral of the Entry of the Most Holy Theotokos into the Temple. According to Fr. Nikolay, he immediately had a deep reverential feeling for the Church and its services, albeit he understood them very little. Having enrolled at Chuvash State University, Nikolay continued going to church—usually for five to ten minutes—to say a short prayer and to light a candle. Although he did not become a permanent parishioner and was not integrated into Church life at that time, some kind of internal need to turn to God again and again called him to a spiritual search. However, this search was continued thousands miles away from the Chuvash Republic, on the Irish Islands where Nikolay Evseev moved in 1999 to work as a programmer. The future priest settled in the town of Monaghan, eighty miles north of Dublin. About a year later his wife together with their son and daughter arrived from Russia. A little more than three years after joining the Church, in November 2005, Nikolay Evseev was ordained a deacon in the Dormition Cathedral in Smolensk. In August 2009, Bishop Elisei of Sourozh ordained him a priest—again at the Dormition Cathedral, but this time in London. Three years from the beginning of life in the Church to ordination as a deacon is a relatively short period of time; usually this time is required for becoming a conscious Orthodox Christian. Of course, I couldn’t help but wonder (given my personal indecisiveness in this matter) why Fr. Nikolay decided to become a priest so soon. —It was a conscious decision of mine to come to the Church and to attend services. I well understood that the Church was my home. I began to serve as an acolyte from the very beginning—I was invited to help in the altar. I also went on a trip with Fr. George Zavershkinsky to parishes throughout Ireland. I wanted to be closer to the altar and the clerical ministry, and I wanted to become a priest myself. After all, if you are a mere parishioner, your future in the Church partially depends on how people around you will respond to it. Moreover, you may even face familial opposition, but once you’re ordained, then it’s not so easy to leave, because you must serve, although I never had any moments when I didn’t want to serve. Like many other Orthodox priests in Ireland, Fr. Nikolay has to combine his priestly duties with his full-time secular job: From Monday to Friday he works as a programmer for one firm, and on Friday evening he starts performing his priestly duties. Apart from the aforementioned parish in Drogheda, Fr. 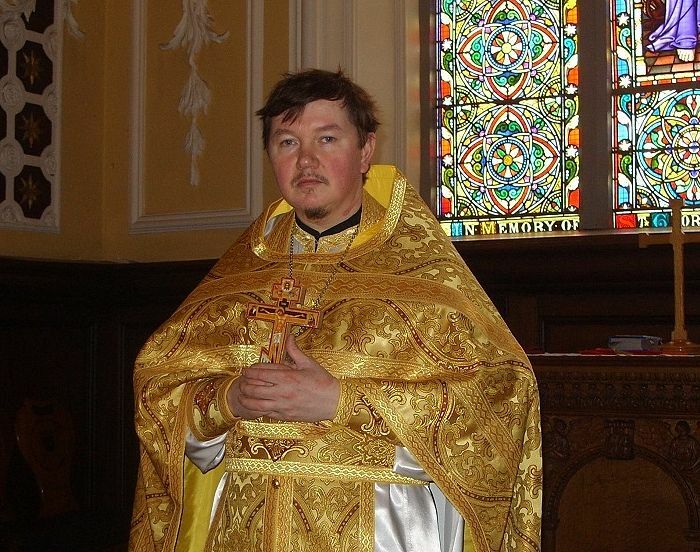 Nikolay is rector of the parish of the Holy Trinity in Cork, and he also serves at the parishes of St. Patrick of Ireland in Waterford and Sts. Peter and Paul in Dublin. 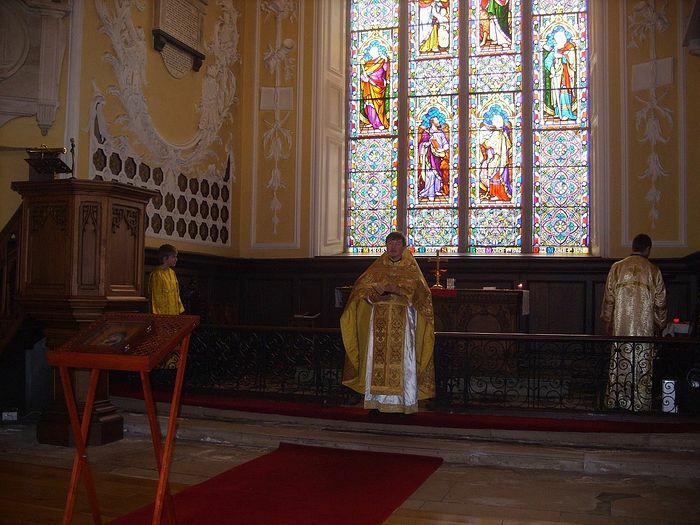 Services in all the parishes (with the exception of the central one in Dublin where there is a paid rector, Archpriest Michael Nasonov) are generally held once a month, as a rule on Saturdays (on Sundays in Cork lately). Fr. Nikolay serves in the Dublin parish on Sundays as well—his main duty is to hear confessions. The question of how batushka manages to combine work with serving and familial responsibilities—raising three kids—came to me quite naturally. —I’m not so overloaded with family obligations as I was. The children have already grown up and I don’t need to watch them anymore. My oldest son and daughter live on their own. It took some time for me to get used to the new routine: working five days a week and serving the remaining two. It was quite difficult because I hardly had a single day in a month when I could get enough sleep. I was initially very despondent. —Did this despondency last long? —Probably a year and a half to two years. But then I suddenly realized that nothing would change. No matter how long I was going to be sad and depressed, nothing would change at all. I had to accept the situation and get used to it. Now there’s no big difference for me to get up at seven—earlier or later. I simply get up and do my work. Apparently, when you concentrate on your task, it becomes much easier. Fr. Nikolay has a theological education by correspondence—he studied the wisdom of theology at St. Tikhon’s Orthodox University for the Humanities, but he mostly learned through practice, which is the most important thing for a priest. The services, Confession, celebrating the other sacraments, and communicating with parishioners give a priest the skills which are vital for serving in the altar. By the way, in Ireland there are more laymen desiring to become priests than in the neighboring Britain. Perhaps it can be explained by a higher level of religiosity in Irish society and a more peaceful life in the country. However, many potential candidates for the priesthood have not yet received a theological education. Some need to reconsider their aspirations, to make up their minds and embark on the difficult path of the priesthood. Some for various reasons cannot become priests: Maybe it is not God’s will for them. But, in any case, new clergy in Ireland can be chosen only from people who have steady source of income in the country now. Unfortunately, none of the parishes in Ireland except for Sts. Peter and Paul In Dublin can maintain a regular priest. Most of Fr. Nikolay’s parishioners are immigrants from Latvia, Ukraine and Moldova. All the services are held in churches rented from Catholics and Anglicans. Unfortunately, the landlords do not always understand the Orthodox: Sometimes there are conflicts. —For example, we currently hold services in Drogheda at the Anglican Church of St. Peter and they don’t charge for this. It is strange for Protestants: In Belfast they started demanding money from us at a certain point, and in Galway they decided to charge 1,000 euros [$1,200] a year. I don’t rule out the possibility that the situation may take a turn for the worse in Drogheda. 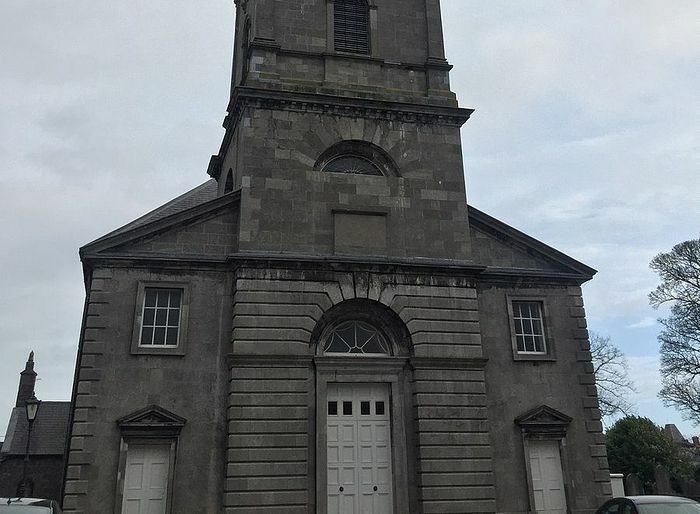 We used to serve at a Catholic church in Drogheda, but one day they refused to let us in, for a very strange reason in my opinion: They didn’t like that we lit candles and used the censer during services. The Catholics demanded that we stop, but can you imagine an Orthodox service without candles and a censer? We refused, and they asked us to leave. Of course, our parishioners in Ireland (like anywhere) need spiritual support, pastoral advice, and regular, weekly services. However, it makes me sad to see what attitude people bring to Confession. Some come to Confession and complain about their husbands or wives or that someone refuses to give them money. It often seems to me that these people perceive the Church as a mere clinic: You take a pill and you get better. You complain and you get better. People can’t come to a deep realization of repentance, to a repentant spirit. After all, we don’t come to the Church to get better and have peace of soul. You can become peaceful from breathing exercises and gymnastics, or a conversation with a friend over a bottle of vodka. But we come to the Church to meet God, but it will not necessarily make things easier; sometimes it can even get harder. But we benefit from it because we begin to see and understand more, to see and understand ourselves in particular. After all, the purpose of our life is to know God. Athonite monks come to know God through silence and hesychia, through the Jesus Prayer. The world has its own ways—through communication with one other, including in our families, and through struggling with our “selves” and egotism. But if you’re only seeking your personal happiness, even if in God, then you are wrong. —The thing is that different people understand happiness differently. In most cases it is understood as personal peace and joy. The boss at one of my jobs used to say that all that we need is to be nice and kind. Yes, you are a good and kind person, but what will you do with your “goodness?” How will you personally benefit from it? True, the answer to Fr. Nikolay’s question is not as obvious as it seems, because behind your confession of yourself as “nice and kind” can lurk pride, unrepentant sins, and contempt for the needs of others. Man creates his own smug inner peace, his own happiness, but for some reason this “happiness” often hides thousands of unfortunate and disadvantaged people, whom no one wants to remember. Alas, these unhappy souls are often very near: among our wives and husbands, children and parents. The pursuit of illusory “happiness” takes a lot of energy and often throws people into the crucible of a merciless struggle at the cost of their humanity and conscience. But even if you dream of being happy (which is quite natural, I suppose), you need to see the main goal on your way towards happiness—serving God and people. Fr. Nikolay can be a good example in this respect. He deliberately refuses permanent work, to work on short-term, half-year contracts, to not have any formal attachment to a work place, for his dream is to serve God to the fullest, seven days a week, devoting all his time and energy to the Creator. Of course, this is impossible right now in Ireland. Maybe the Lord will send Fr. Nikolay back to Russia, or maybe circumstances will be different one day. But I am sure of one thing: Fr. Nikolay’s genuine happiness and joy of life is possible through his self-sacrifice and devotion, through his service to Christ and people for whom the Divine Liturgy and the spiritual words of a pastor are extremely important.